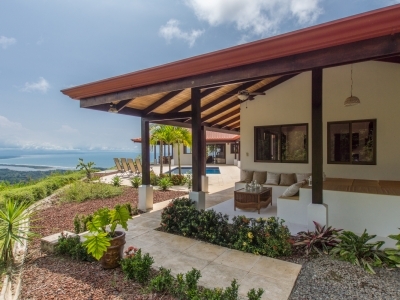 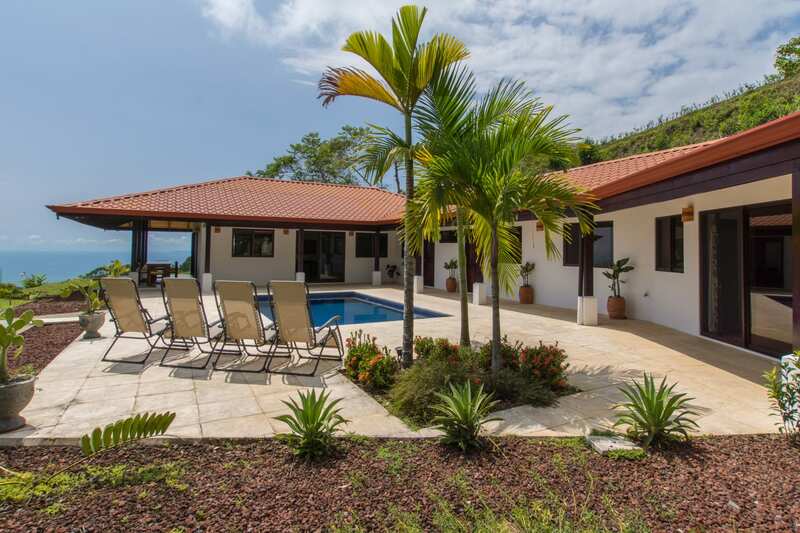 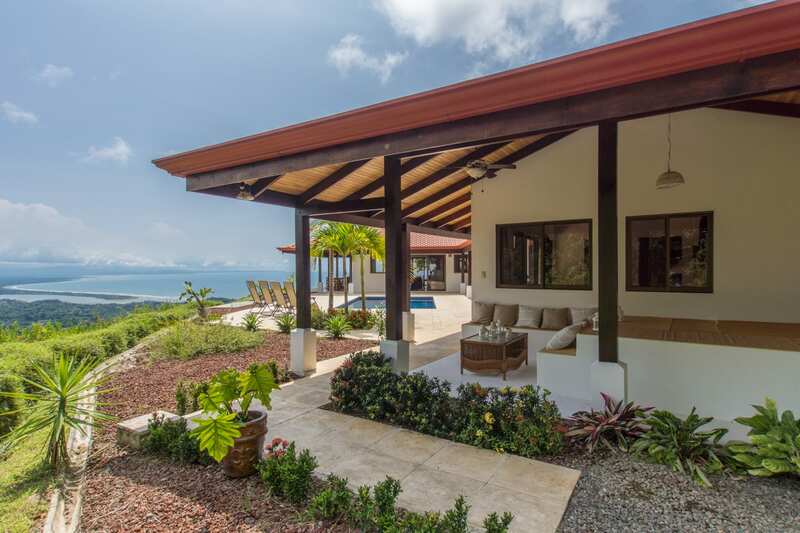 This ocean view house with a touch of Spanish modern hacienda architecture has the best Ocean, mountain/jungle views of the entire area. 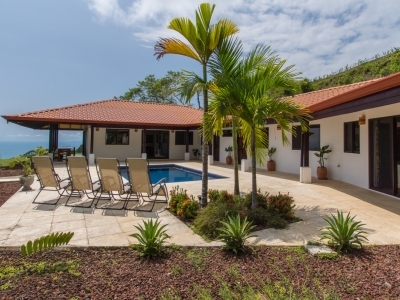 This unique and spectacular house surrounds a beautiful 300sq ft ocean blue glass ceramic pool. 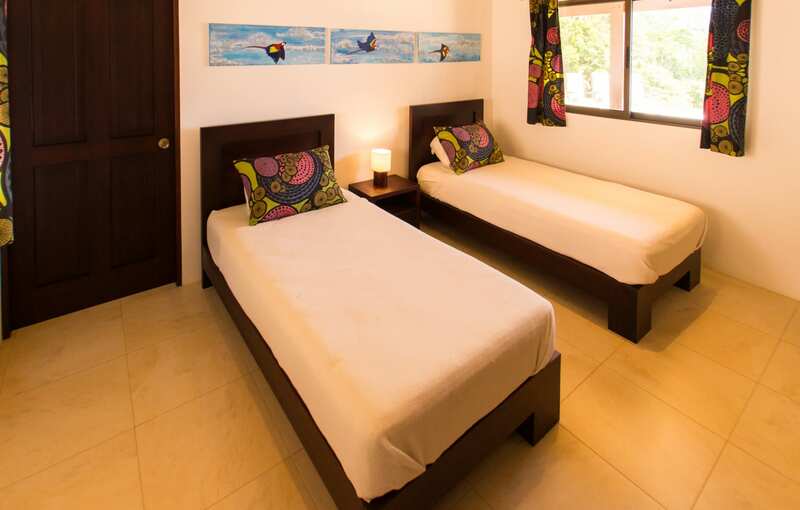 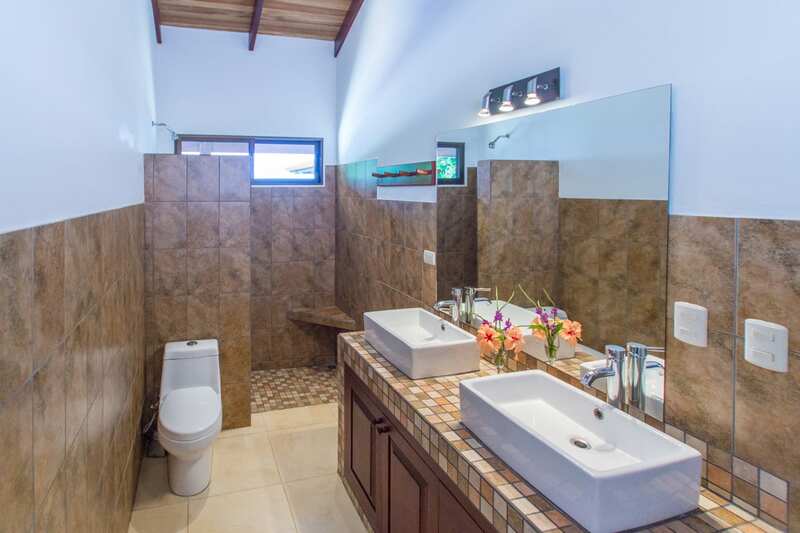 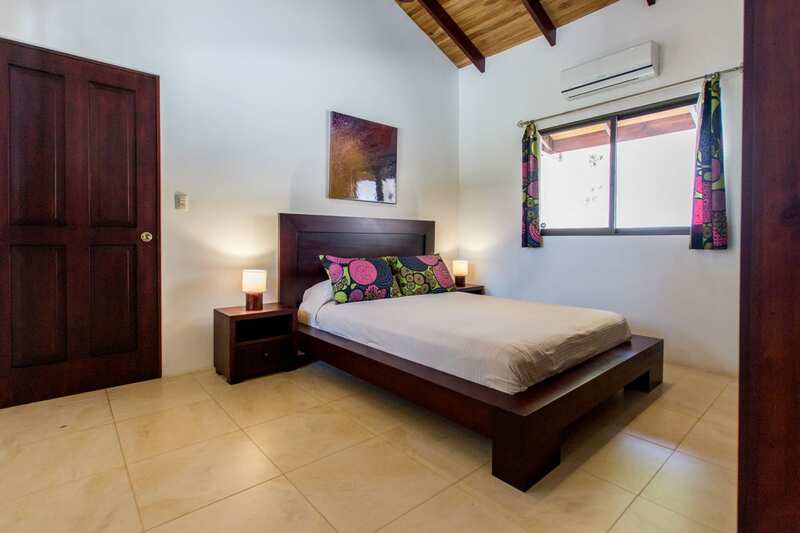 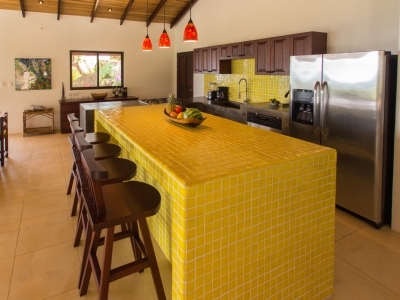 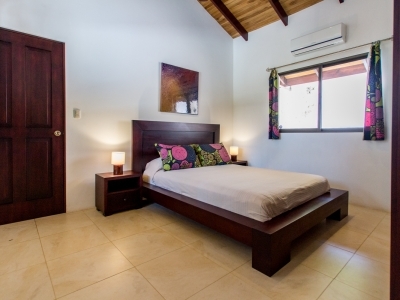 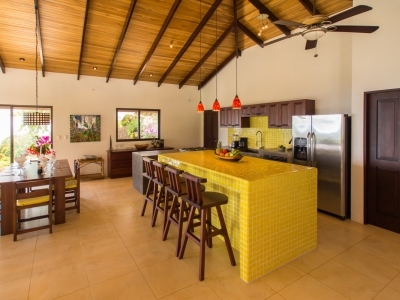 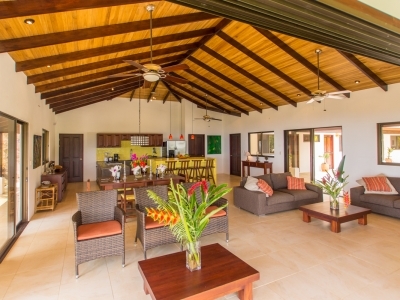 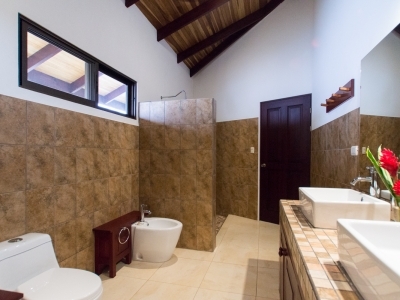 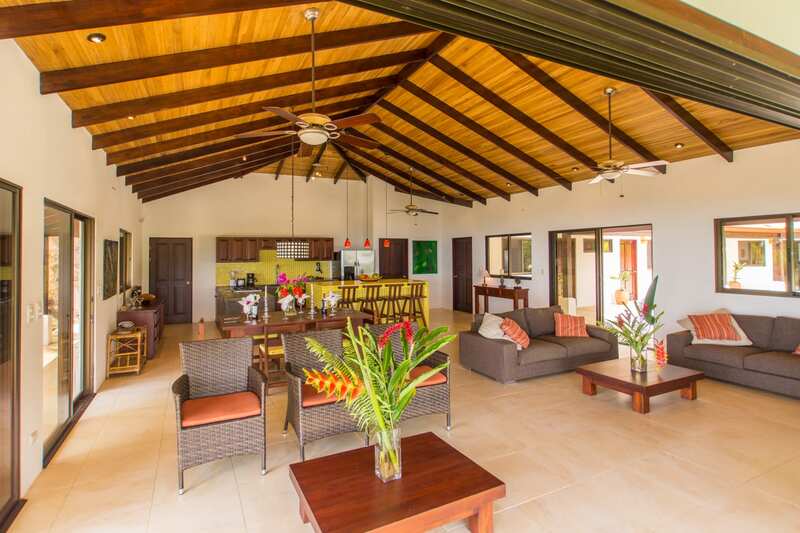 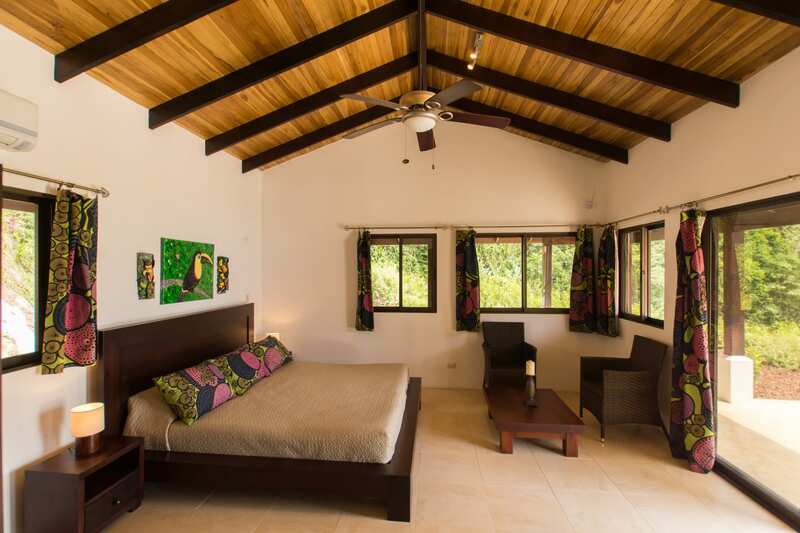 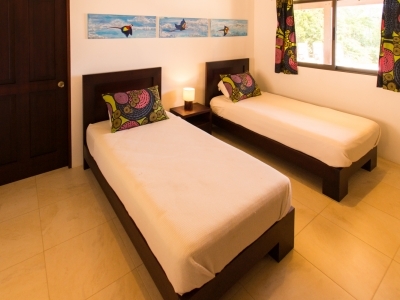 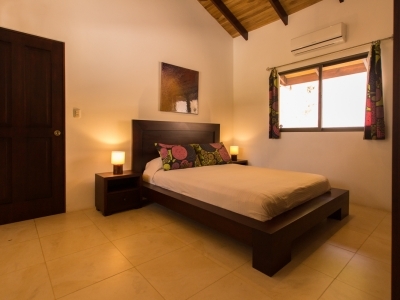 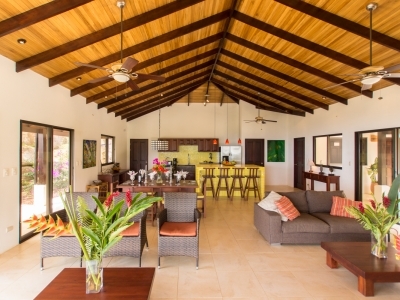 You will find 3 spacious bedrooms and bathrooms . 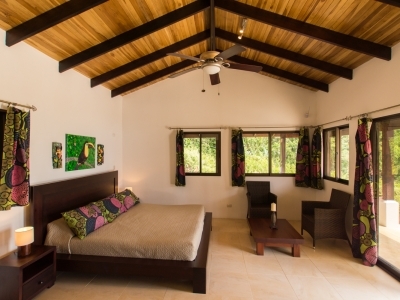 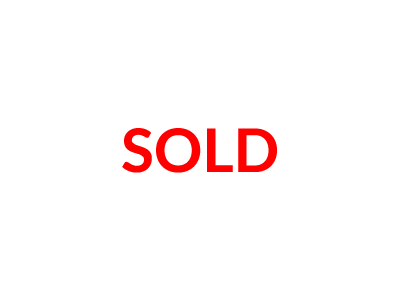 Quality hardwoods have been used extensively on ceilings . 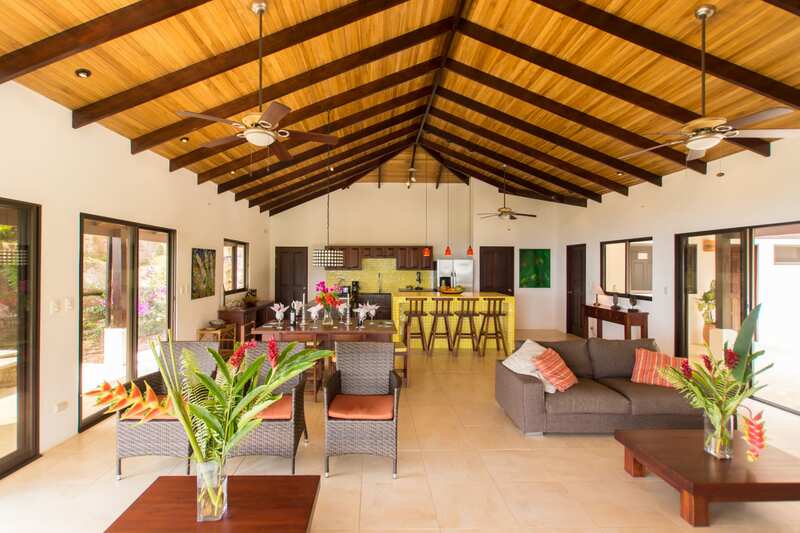 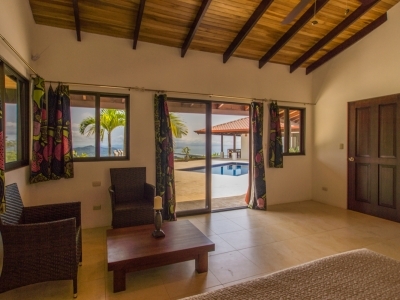 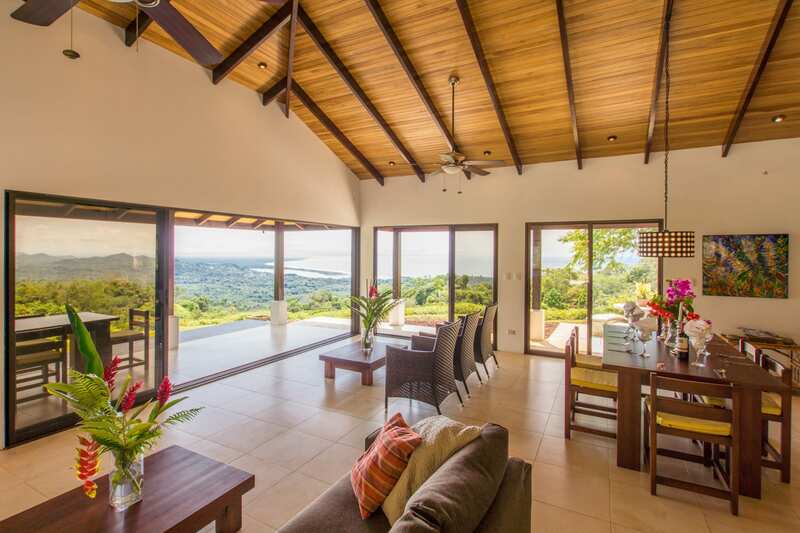 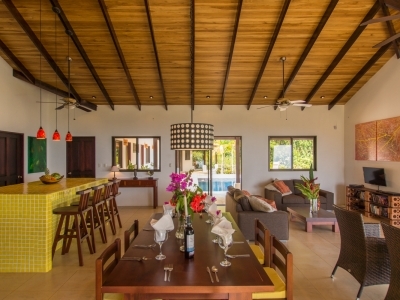 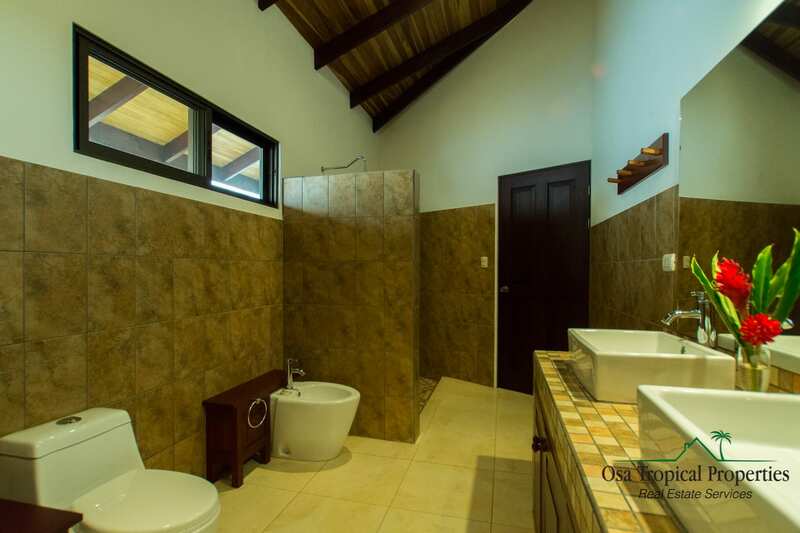 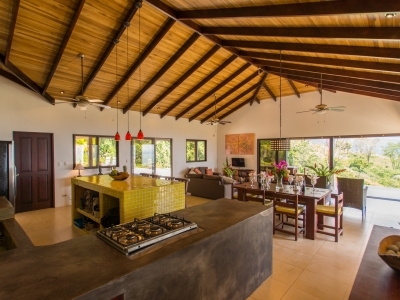 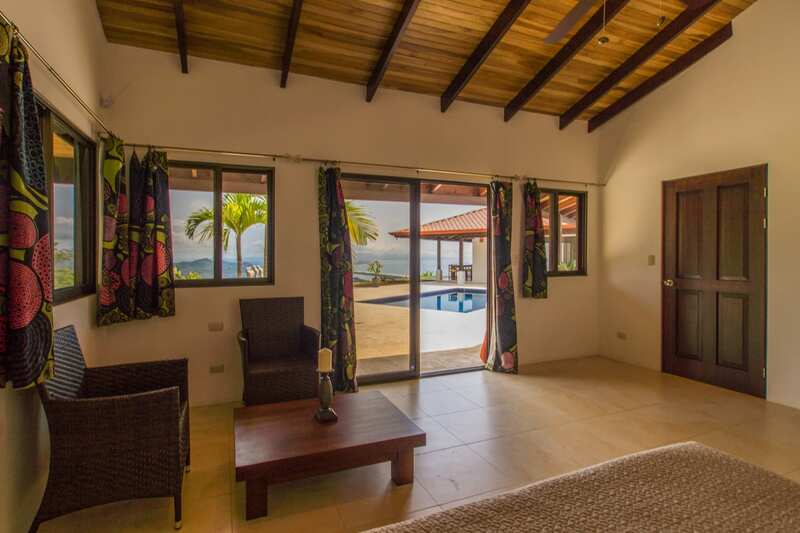 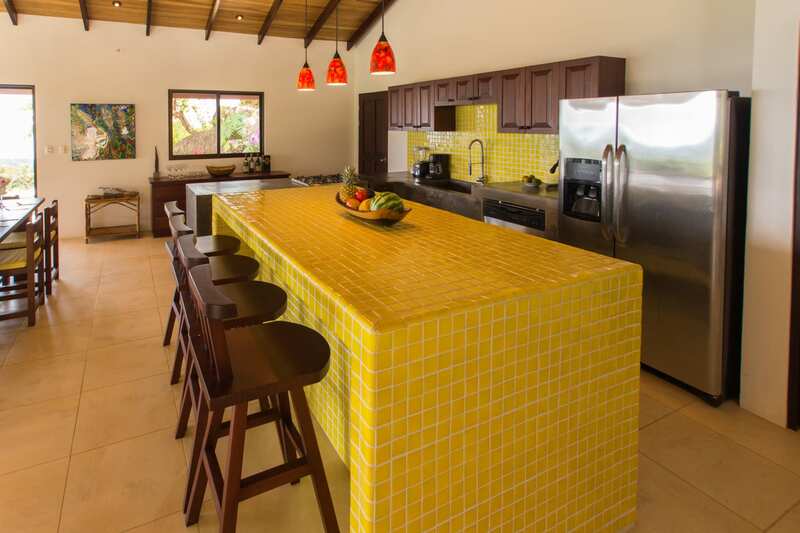 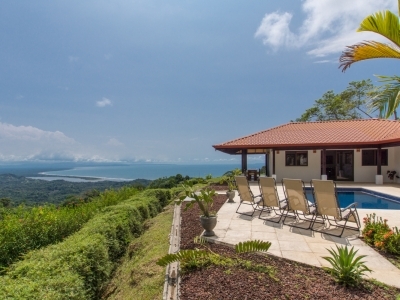 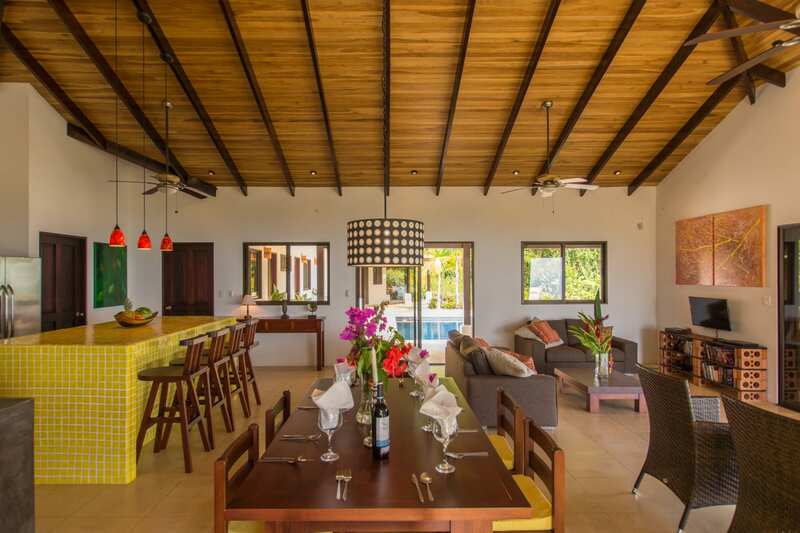 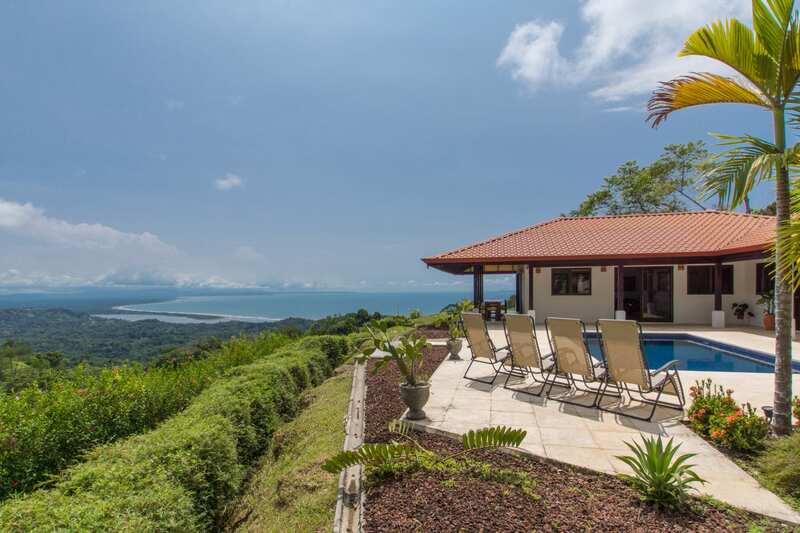 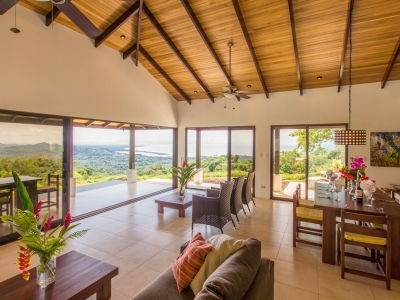 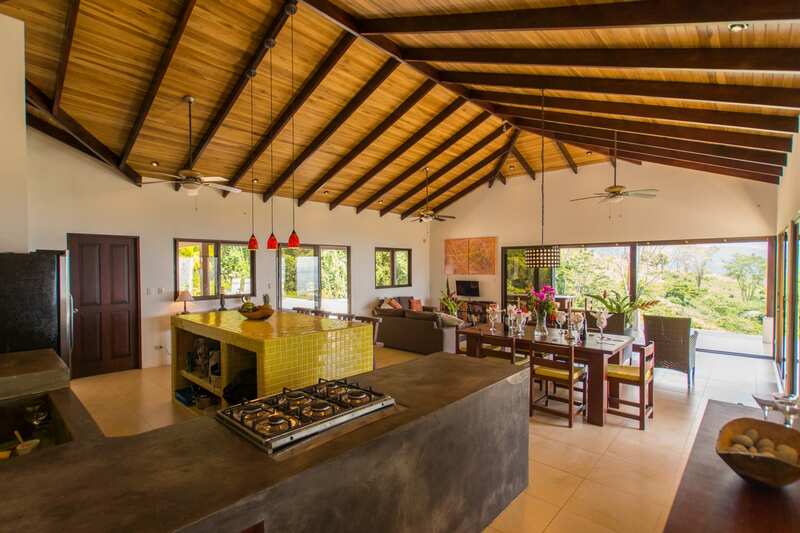 Sliding glass doors open on the entire 2 sides of the living/dining room to give a breathtaking view of rolling hills, ocean, Isla Cano and the Osa Peninsula. 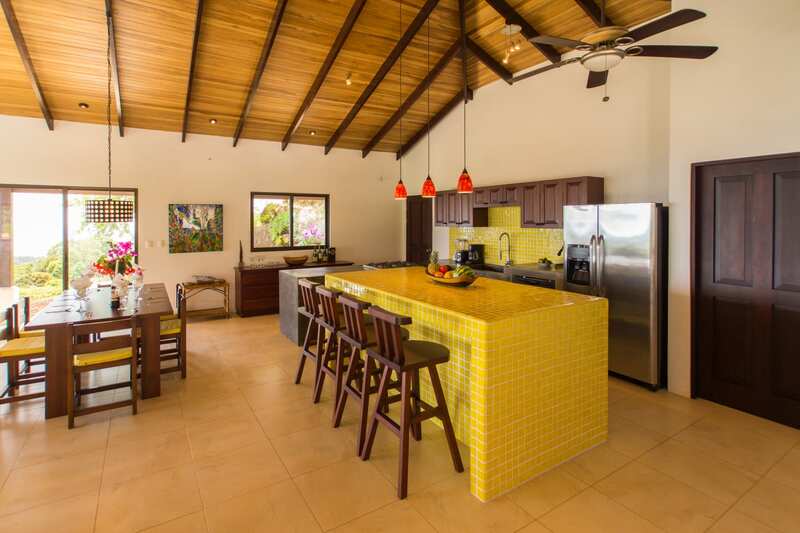 One does not really need the installed air-conditioners with the constant fresh breeze flowing through the house day and night. 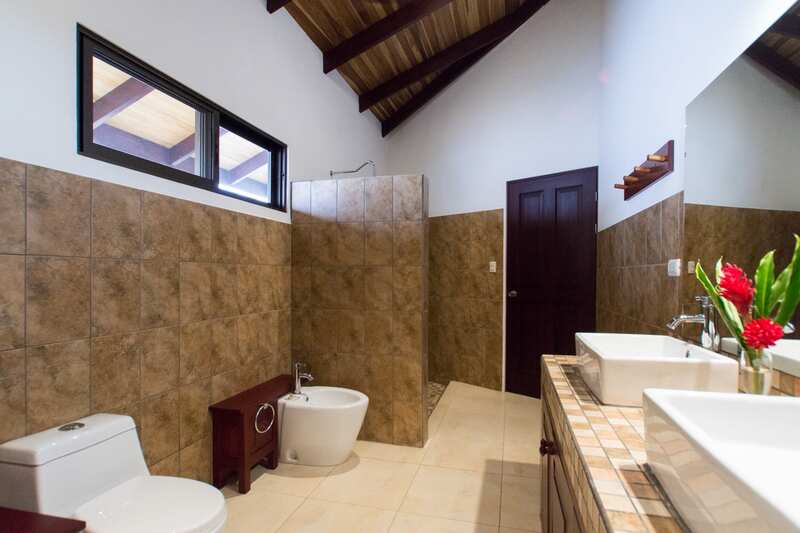 It is offered fully furnished.